Ballet and modern dance superstar who defected from the U.S.S.R. in 1961. He performed with The Royal Ballet and The Paris Opera Ballet and served as director and chief choreographer of the latter company. In his youth, he trained at the Kirov Ballet School and the Leningrad Choreographic School. He was frequently partnered with French Prima Ballerina Yvette Chauvire. He had romantic relationships with both men and women and was the longtime partner of fellow dancer Erik Bruhn. 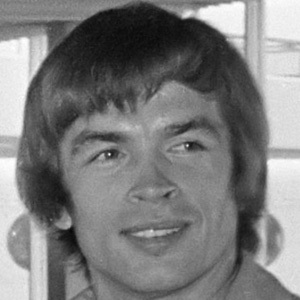 Tragically, Nureyev died of AIDS in the early 1990s. He and ballerina Margot Fonteyn became longstanding dance partners.